Innovation occurs when someone wants a 32nd – or 33rd – flavor. While scanning the ice cream shop menu, they realize, “None of the 31 works for me – I need something different.” And sometimes, if it’s not available elsewhere, they create it. 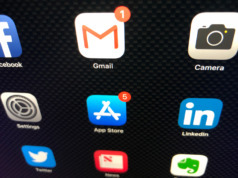 It happened in 1964, when the retired military founders of Executive Jet Aviation (EJA) determined that rather than owning their own jets, executives all over the U.S. could be served by a “motor pool” of business jets that floated from trip to trip. 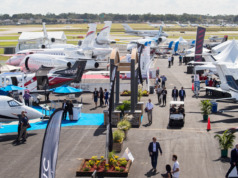 Business aviation’s “33rd flavor” appeared when Matt Weisman realized some people did want to own a business jet, but didn’t want to be burdened with flight department administration, like hiring pilots and support staff, or managing the operation. Thus Executive Air Fleet (today part of Jet Aviation) was born, one of the first wave of third-party aircraft management companies which handled those functions for first-time jet owners – and then marketed those aircraft for hire when the owner wasn’t flying, so some of the cost of their own flying could be offset. Today more than 90% of the 2,200+ aircraft in charter service around the world are managed under some variation of this 50-year-old model. Business aviation experiences this kind of innovation repeatedly. Each variation enhances our industry by making bizav travel more accessible and more cost effective for a new market segment: NetJets and fractional ownership in 1984, followed by the Marquis Jet Card in 2001; Vistajet, offering a return to the operator-owned charter fleet option in 2004; membership-based models Wheels Up and JetSuite; and today, the wide variety of charter apps providing discounted business aircraft travel by shopping and booking unoccupied repositioning legs on previously-scheduled charter trips. And then there’s Business Aviation Advisor. Our 2014 genesis stemmed from the recognition that there was no print or electronic source of information for owners on the business, rather than the lifestyle, of business aviation. The spirit of innovation inspired one of our staffers. Ten years ago, editorial assistant Michael Murphy realized there was no guidebook for people with Nonverbal Learning Disabilities, written by someone who was successfully navigating the life challenges it presents. 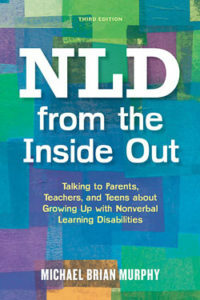 And so he wrote one: NLD From the Inside Out: Talking to Parents, Teachers, and Teens About Growing Up with Nonverbal Learning Disabilities, now in its third edition (June 2016, Jessica Kingsley Publishers). So far, thousands of readers in 37 countries have benefitted from his experience, wisdom, and innovative research.